Bonar, S. 2016. Candidate Statement: AFS Second Vice President: Scott Bonar, Fisheries, 41:2, 61-62. Neils AM, Bugbee C, Gimblet HR, Culver M. 2015. Arizona Jaguar and Ocelot Conservation Education Project: K-12 Education Plan, Educational Materials, & Examples of Curricula. 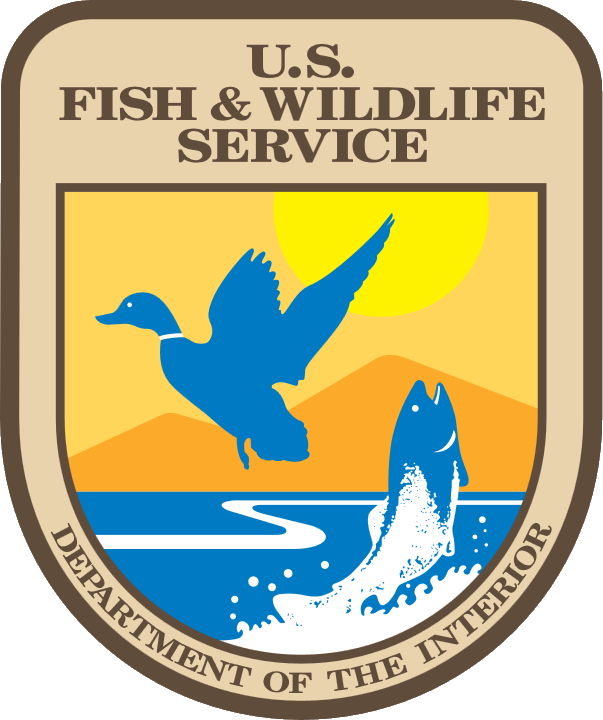 Final Report to the US Fish and Wildlife Service under Intra-Agency Agreement Number G13AC00222. Culver M, Herrmann H-W, Miller M, Roth B and J Sorenson. 2013. Anatomical and Genetic Variation of Western Oxyloma (Pulmonata: Succineidae) Concerning the Endangered Kanab Ambersnail (Oxyloma kanabense haydeni) in Arizona and Utah. Scientific Investigators Report 2013-5164. IP-049548, approved by BAO on 21 August 2013. Bonar, S. A., A. A. Schultz, and E. A. Sontz. 2011. Captive breeding and culture of Gila chub Gila intermedia, Headwater chub Gila nigra and roundtail chub Gila robusta. Arizona Cooperative Fish and Wildlife Research Unit Fisheries Research Report 01-11. Conway, M., C. P. Nadeau, and C. J. Conway. 2010. Optimal seasonal timing of marsh bird surveys and the effect of water quality on marsh bird relative abundance in south Florida. Wildlife Research Report #2010-04, U.S. Geological Survey, Arizona Cooperative Fish and Wildlife Research Unit, Tucson, AZ. Kuzmenko, Y., T. Spesiviy. S.A. Bonar. 2010. Mechanical Suppression of Northern Pike (Esox lucius) Populations in Small Arizona Reserviors. Arizona Cooperative Fish and Wildlife Unit Fisheries Research Report 01-10. Archdeacon, T.P., S.A. Bonar, S.J. Kline, A.C. Iles and D. Hughson. 2008. Effects of Asian Tapeworm on the Endangered Mohave Tui Chub. Arizona Cooperative Fish and Wildlife Research Unit Fisheries Research Report 02-08. Schultz, A.A. and S.A. Bonar. 2007. Spawning and culture of Gila chub. Arizona Cooperative Fish and Wildlife Unit Fisheries Research Report 02-07. Kline, S.J., T.P. Archdeacon, A.C. Iles, and S.A. Bonar. 2007. Factors influencing distribution of introduced Asian tapeworm and effects on selected Southwestern fishes (Yaqui topminnow and Yaqui chub). Arizona Cooperative Fish and Wildlife Unit Fisheries Research Report 01-07. Schultz, A.A., and S.A. Bonar. 2006. Selected aspects of the natural history of Gila chub. Arizona Cooperative Fish and Wildlife Unit Fisheries Research Report 02-06. Bonar, S.A., C. J. Carveth, A. M. Widmer, and J. Simms. 2005. Upper temperature tolerance of loach minnow and spikedace under acute, chronic, and fluctuating thermal regimes. Arizona Cooperative Fish and Wildlife Unit Fisheries Research Report 04-05. Widmer, A. M., C. J. Carveth, and S. A. Bonar. 2005 Transport and care of small desert fishes. Arizona Cooperative Fish and Wildlife Research Unit Fisheries Research Report 03-05. Schultz, A. A., and S. A. Bonar. 2004. Selected aspects of the natural history of the Gila chub. 2002-2004 Progress report. Arizona Cooperative Fish and Wildlife Research Unit Fisheries Research Report 04-04. Flinders, J.M., and S. A. Bonar. 2004. Biology and foraging demands of northern pike in three Arizona reservoirs and their distribution and status in the southwestern United States. Arizona Cooperative Fish and Wildlife Research Unit Fisheries Research Report 03-04. Schade, C.B., and S.A. Bonar 2004. Factors associated with the distribution and abundance of non-native fishes in streams of the American west. Arizona Cooperative Fish and Wildlife Research Unit Fisheries Research Report 02-04. Bonar, S.A., L. L. Leslie, and C. E. Velez. 2004. Influence of species, size class, environment, and season on introduced fish predation on native fishes in the Verde River System, Arizona. Arizona Cooperative Fish and Wildlife Research Unit Research Report 01-04. Divens, M. and S.A. Bonar. 2002. Trout stocking in high lakes: Reported impacts and implications for Washington State. Washington Department of Fish and Wildlife Research Report. 27 pp. Bolding, B., S. Bonar, and M. Divens. 2001. Use of artificial structure to enhance freshwater sportfish communities in lake, ponds and reservoirs: a literature review. Washington Department of Fish and Wildlife Science Division, Technical Report Number: FPT01-06. Bonar, S.A., B. Bolding, and M. Divens. 2000. Sampling Guidelines for Washington State Standardized Pond and Lake Surveys. Washington Department of Fish and Wildlife Research Report. 38 pp. Bonar, S. A., S. A. Vecht, C. R. Bennett, G. B. Pualey, and G. L. Thomas. 1998. Capture of triploid grass carp (Ctenopharyngodon idella) from Big Chambers Lake and other vegetated Washington state lakes. In G. B. Pauley and seven coauthors eds. The Biology and Effects of Triploid Grass Carp (Ctenopharyngodon idella) on the Plant Community, Fish Assemblage and Water Quality of Big Chambers Lake and Little Chambers Lake, Washington. Technical Report. Washington Cooperative Fishery Research Unit. Chapter 6:1-8. Bonar, S.A., G. B. Pauley and G. L. Thomas 1998. Effects of triploid grass carp (Ctenopharyngodon idella) grazing on the aquatic macrophytes in Big Chambers Lake and Little Chambers Lake. In G. B. Pauley and seven coauthors eds. The Biology and Effects of Triplid Grass Carp (Ctenopharyngodon idella) on the Plant Community, Fish Assemblage and Water Quality of Big Chambers Lake and Little Chambers Lake, Washington. Thechnical Report. Washington Cooperative Fishery Research Unit. Chapter 1:1-35. Pauley, G. B., S. A. Bonar, and G. L. Thomas. 1998. Conclusions: The use of triploid grass carp (Ctenopharyngodon idella) for aquatic macrophyte control in Big Chambers and Little Chambers Lake. In G. B. Pauley and seven coauthors eds. The Biology and Effects of Triploid Grass Carp (Ctenopharyngodon idella) on the Plant Community, Fish Assemblage and Water Quality of Big Chambers Lake and Little Chambers Lake, Washington. Technical Report. Washington Cooperative Fishery Research Unit. Chapter 7:1-5. Pauley, G. B., S. A. Bonar, K. L. Bowers, and G. L. Thomas. 1998. Triploid grass carp (Ctenopharyngodon idella) feeding preferences for aquatic macrophyte species from Big Chambers Lake and two other Pacific Northwest lakes. In G. B. Pauley and seven coauthors eds. The Biology and Effects of Triploid Grass Carp (Ctenopharyngodon idella) on the Plant Community, Fish Assemblage and Water Quality of Big Chambers Lake and Little Chambers Lake, Washington. Technical Report. Washington Cooperative Fishery Research Unit. Chapter 4:1-52. Vecht, S. A., G. B. Pauley, S. A. Bonar, and G. L. Thomas. 1998. Growth rates of triploid grass carp (Ctenopharyngodon idella) in Big Chambers Lake and three other Washington State lakes. In G. B. Pauley and seven coauthors eds. The Biology and Effects of Triploid Grass Carp (Ctenopharyngodon idella) on the Plant Community, Fish Assemblage and Water Quality of Big Chambers Lake and Little Chambers Lake, Washington. Technical Report. Washington Cooperative Fishery Research Unit. Chapter 5:1-57. Bolding, B., S. A. Bonar, M. Divens, D. Fletcher, and E. Anderson. 1997. Stocking walleye to improve growth and reduce abundance of overcrowded panfish in a small impoundment. Washington Department of Fish and Wildlife Technical Report RAD97-05. 27 pp. Bonar, S. A., B. Bolding, and M. Divens. 1997. Inland fish research. In Inland Fish Investigations and Research WB/DJ Annual Report July 1, 1996-June 30, 1997. Project No. F-114-R-3 Volume 2. Research Section:1-170. Bonar, S. A., L. G. Brown, P. E. Mongillo, and K. Williams. 1997. Status of burbot in Washington state. Washington Department of Fish and Wildlife Research Report. 51 pp. Bonar, S. A., M. Divens and B. Bolding. 1997. Methods for sampling the distribution and abundance of bull trout/Dolly Varden. Washington Department of Fish and Wildlife Resarch Report RAD97-05. 48 pp. Loch, J. J., and S. A. Bonar. 1997. Occurrence of grass carp in the lower Columbia and Snake rivers. Washington Department of Fish and Wildlife Research Report RAD97-07. 13 pp. Bolding, B., S. A. Bonar, and E. Anderson. 1996. Diet of walleye in a percid-centrarchid community. Washington Department of Fish and Wildlife Research Report IF96-06. 14 pp. Bonar, S. A., B. Bolding, and M. Divens. 1996. Management of aquatic plants in Washington state using grass carp: Effect on aquatic plants, water quality and public satisfaction 1990-1995. Washington Department of Fish and Wildlife Research Report IF96-05. 28 pp. Bonar, S. A., B. Bolding, and M. Divens. 1996. Project 3. Inland fish research WB/DJ annual report July 1, 1995 - June 30, 1996. In Inland Fish Investigations and Research WB/DJ Annual Report. July 1, 1995 - June 30, 1996. In Inland Fish Investigations and Research WB/DJ Annual Report. July 1, 1995 - June 30, 1996. Project No. F-114-R-2. Washington Department of Fish and Wildlife Progress Report. Volume 2, Chapter 4:1-106. Divens, M., P. James, S. Bonar, B. Bolding, and E. Anderson. 1996. An evaluation of proportional stock density use in Washington state. Washington Department of Fish and Wildlife Research Report IF96-01. 26 pp. Bonar, S. A., B. Bolding, J. Pahutski, and M. Divens. 1995. Project 3. Inland Fish Research WB/DJ Annual Report July 1 1994 - June 30, 1995. In Inland Fish Investigations in Washington 1994 Annual Progress Report. Project No. F-114-R-1. Washington Department of Fish and Wildlife Progress Report. Pp 352-441. Bonar, S. A., G. B. Pauley, and G. L. Thomas. 1995. Effect of disturbance and time of day on grass carp (Ctenopharyngodon idella Val.) consumption rates. In G. B. Pauley, and S. A. Bonar eds. The Biology, Management, and Stocking Rates of Triploid Grass Carp, Ctenopharyngodon idella, and Their Effects on the Plant Community, Fish Assemblage and Water Quality of Several Pacific Northwest Lakes. Technical Report. Washington Cooperative Fish and Wildlife Research Unit. Chapter 15:1-8. Bonar, S. A., G. B. Pauley, and G. L. Thomas. 1995. Effects of triploid grass carp grazing on aquatic macrophytes of five Washington lakes. In G. B. Pauley, and S. A. Bonar eds. The Biology, Management and Stocking Rates of Triploid Grass Carp, Ctenopharyngodon idella, and Their Effects on the Plant Community, Fish Assemblage and Water qQuality of Several Pacific Northwest Lakes. Technical Report. Washington Cooperative Fish and Wildlife Research Unit. Chapter 9:1-108. Bonar, S. A., G. L. Thomas, and G. B. Pauley. 1995. Accuracy and cost comparison of flow cytometry and coulter counter techniques for rapid ploidy analysis of grass carp (Ctenopharyngodon idella). In G. B. Pauley and S. A. Bonar eds. The Biology, Management and Stocking Rates of Triploid Grass Carp, Ctenopharyngodon idella, and Their Effects on the Plant Community, Fish Assemblage and Water Quality of Several Pacific Northwest Lakes. Technical Report. Washington Cooperative Fish and Wildlife Research Unit. Bonar, S. A., G. L. Thomas, and G. B. Pauley. 1995. Accuracy and cost comparison of flow cytometry and coulter counter techniques for rapid ploidy analysis of grass carp (Ctenopharyngodon idella). In G. B. Pauley and S. A. Bonar eds. The Biology, Management and Stocking Rates of Triploid Grass Carp, Ctenopharyngodon idella, and Their Effects on the Plant Community, Fish Assemblage and Water Quality of Several Pacific Northwest Lakes. Technical Report. Washington Cooperative Fish and Wildlife Research Unit. Chapter 4:1-9. Bonar, S. A., G. L. Thomas, and G. B. Pauley. 1995. Evaluation of sterility in triploid grass carp (Ctenopharyngodon idella). In G. B. Pauley and S. A. Bonar eds. The Biology, Management and Stocking Rates of Triploid Grass Carp, Ctenopharyngodon idella, and Their Effects on the Plant Community, Fish Assemblage and Water Quality of Several Pacific Northwest Lakes. Technical Report. Washington Cooperative Fish and Wildlife Research Unit. Chapter 5:1-9. Bonar, S. A., G. L. Thomas, and G. B. Pauley. 1995. Grass carp stocking rates for aquatic plant control. In G. B. Pauley, and S. A. Bonar eds. The Biology, Management and Stocking Rates of Triploid Grass Carp, Ctenopharyngodon idella, and Their Efffects on the Plant Community, Fish Assemblage and Water Quality of Several Pacific Northwest Lakes. Technical Report. Washington Cooperative Fish and Wildlife Research Unit. Chapter 19:1-23. Bonar, S. A., G. L. Thomas, and G. B. Pauley. 1995. Origin of grass carp in the United States and differences in Asian grass carp stocks. In G. B. Pauley and S. A. Bonar eds. The Biology, Management and Stocking Rates of Triploid Grass Carp, Ctenopharyngodon idella, and Their Effects on the Plant Community, Fish Assemblage and Water Quality of Several Pacific Northwest Lakes. Technical Report. Washington Cooperative Fish and Wildlife Research Unit. Chapter 2:1-6. Bonar, S. A., J. Pahutski, and B. Bolding. 1995. Comparison of electroshocking and trapping techniques for the capture of channel catfish. Washington Department of Fish and Wildlife Technical Report IF95-02. 10 pp. Bonar, S. A., J. Pahutski, and B. Bolding. 1995. Factors related to survival and growth of stocked channel catfish in Washington lakes. Washington Department of Fish and Wildlife Technical Report IF95-03. 24 pp. Pauley, G. B., D. A. Marino, S. L. Thiesfeld, S. A. Vecht, G. L. Thomas, D. A. Beauchamp and S. A. Bonar. 1995. Impacts of triploid grass carp grazing on the game fish assemblages of Pacific Northwest lakes. In G. B. Pauley, and S. A. Bonar eds. The Biology, Management and Stocking Rates of Triploid Grass Carp, Ctenopharyngodon idella, and Their Effects on the Plant Community, Fish Assemblage and Water Quality of Several Pacific Northwest Lakes. Technical Report. Washington Cooperative Fish and Wildlife Research Unit. Chapter 9:1-108. Pauley, G. B., S. A. Bonar, and G. L. Thomas. 1995. Conclusions, the utility of grass carp for aquatic plant control in the Pacific Northwest. In G. B. Pauley and S. A. Bonar eds. The Biology, Management and Stocking Rates of Triploid Grass Carp, Ctenopharyngodon idella, and Their Effects on the Plant Community, Fish Assemblage and Water Quality of Several Pacific Northwest Lakes. Technical Report. Washington Cooperative Fish and Wildlife Research Unit. Chapter 21:1-6. Pauley, G. B., S. A. Bonar, G. L. Thomas, and H. S. Sehgal. 1995. Relationship between the chemical composition of milfoil (Myriophyllum spicatum) and its consumption by grass carp (Ctenopharyngodon idella). In G. B. Pauley and S. A. Bonar eds. The Biology, Management and Stocking Rates of Triploid Grass Carp, Ctenopharyngodon idella, and Their Effects on the Plant Community, Fish Assemblage and Water Quality of Several Pacific Northwest Lakes. Technical Report. Washington Cooperative Fish and Wildlife Research Unit. Chapter 14:1-11. Pauley, G. B., S. A. Bonar, K. L. Bowers, and G. L. Thomas. 1995. Feeding preferences of grass carp (Ctenopharyngodon idella) for Pacific Northwest aquatic macrophytes species. In G. B. Pauley and S. A. Bonar eds. The Biology, Management, and Stocking Rates of Triploid Grass Carp, Ctenopharyngodon idella, and Their Effects on the Plant Community, Fish Assemblage, and Water Quality of Several Pacific Northwest Lakes. Technical Report. Washington Cooperative Fish and Wildlife Research Unit. Chapter 12:1-6. Vecht, S. A., G. B. Pauley, S. A. Bonar, and G. L. Thomas. 1995. Growth rates of triploid grass carp (Ctenopharyngodon idella) in four Washington Lakes. In G. B. Pauley and S. A. Bonar eds. The Biology, Management and Stocking Rates of Triploid Grass Carp, Ctenopharyngodon idella, and Their Effects on the Plant Community, Fish Assemblage and Water Quality of Several Pacific Northwest Lakes. Technical Report. Washington Cooperative Fish and Wildlife Research Unit. Chapter 6:1-57. Bolding, B., S. A. Bonar, D. Fletcher, and E. Anderson. 1995. Use of walleye to manipulate size and growth rate of panfish in a small impoundment. Washington Department of Fish and Wildlife Progress Report IF95-01. 24 pp. Bonar, s. A., D. Fletcher, and B. Bolding. 1994. Relationship between forage fish abundance and the diet of largemouth bass Micropterus salmoides. Washington Department of Fish and Wildlife Report 94-07. 22 pp. Bonar, S., and B. Bolding. 1994. Research team, warmwater fish program WB/DJ annual report July 1, 1993 - June 30, 1994. In Warmwater Fishery Investigations in Washington State. 1993 Annual Progress Report. Washington Department of Fish and Wildlife Progress Report. Project F-71-R-14. Pp 170-175. Fletcher, D., S. Bonar, B. Bolding, A. Bradbury, and S. Zeylmaker. 1993. Warmwater fish survey manual. Washington Department of Wildlife Technical Report. 164 pp. Hahn, P., S. Zeylmaker, and S. Bonar, 1993. WDW methods manual: Creel information from sport fisheries. Washington Department of Wildlife Report 93-18. 47 pp. Bonar, S. A., and C. R. Bennett. 1991. Feasibility of aquatic macrophyte control in Surfside Lake and Canal, Ocean Park, Washington using sterile grass carp (Ctenopharyngodon idella Val.) Technical Report. Consulting Service. 20 pp. Pauley, G. B., G. L. Thomas, S. A. Bonar and H. Sehgal. 1991. Effects of plant location, plant combination, fish size, disturbance and stock origin on grass carp feeding preferences and consumption rates. Technical Report. Washington Cooperative Fish and Wildlife Research Unit. 96 pp. Thomas, G. L., S. A. Bonar, D. A. Beauchamp, J. D. Frodge, G. B. Pauley, T. B. Stables and S. L. Thiesfeld. 1990. Feasibility of aquatic plant control in Lake Lawrence, Thurston County, Washington using triploid grass carp (Ctenopharyngodon idella Val.). Technical Report. Washington Cooperative Fish and Wildlife Research Unit. 117 pp. Bonar, S. A., G. L. Thomas and G. B. Pauley 1989. Effects of grazing by triploid grass carp (Ctenopharyngodon idella) on the aquatic macrophytes of five Washington lakes. In G. B. Pauley and G. L. Thomas, eds. An evaluation of the impact of triploid grass carp (Ctenopharyngodon idella) on lakes in the Pacific Northwest. Technical Report. Washington Cooperative Fish and Wildlife Research Unit pp II1-II69. Bonar, S. A., G. L. Thomas, and G. B. Pauley. 1989. Grass carp (Ctenopharyngodon idella Val.) stocking rates for aquatic plant control. In G. B. Pauley and G. L. Thomas, eds. An evaluation of the impact of triploid grass carp (Ctenopharyngodon idella) on lakes in the Pacific Northwest. Technical Report. Washington Cooperative Fish and Wildlife Research Unit pp V1-V22. Thomas, G. L., S. L. Thiesfeld, S. A. Bonar, J. D. Frodge, and G. B. Pauley. 1989. Short-term effects of triploid grass carp (Ctenopharyngodon idella) on the plant community, fish assemblage, and water quality of Devils Lake Oregon. Technical Report. Washington Cooperative Fish and Wildlife Research Unit. 109 pp. Pauley, G. B., G. L. Thomas, S. A. Bonar, J. D. Frodge and H. Sehgal. 1988. Use of triploid grass carp (Ctenopharyngodon idella) as a biological control of aquatic macrophytes in Washington State. Technical Report. Washington Cooperative Fishery Research Unit. 122 pp. Pauley, G. B., G. L. Thomas, S. L. Thiesfeld, and S. A. Bonar. 1988. Devils Lake restoration project - grass carp introduction and monitoring. Technical report No. 8. Washington Cooperative Fishery Research Unit. 11 pp. Pauley, G. B., G. L. Thomas, S. L. Thiesfeld, S. A. Bonar, D. A. Marino, and J. Frodge. 1987. Devils Lake restoration project - grass carp introduction and monitoring. Technical Report No. 7. Washington Cooperative Fishery Research Unit. 22 pp. Bonar, S. A., G. L. Thomas, and G. B. Pauley. 1987. An evaluation of ploidy separation techniques for diploid and triploid grass carp (Ctenopharyngodon idella). In G. B. Pauley, and G. L. Thomas, eds. An evaluation of the impact of triploid greass carp (Ctenopharyngodon idella) on lakes in the Pacific Northwest. Technical Report. Washington Cooperative Fishery Research Unit. pp 39-60. Bonar, S. A., G. L. Thomas, and G. B. Pauley. 1987. An evaluation of sterility in triploid grass carp (Ctenopharyngodon idella). In G. B. Pauley, and G. L. Thomas, eds. An evaluation of the impact of triploid grass carp (Ctenopharyngodon idella) on lakes in the Pacific Northwest. Technical Report. Washington Cooperative Fishery Research Unit. pp 61-69. Bonar, S. A., G. L. Thomas, and G. B. Pauley. 1987. The efficacy of triploid grass carp (Ctenopharyngodon idella) for plant control. In G. B. Pauley, and G. L. Thomas, eds. An evaluation of the impact of triploid grass carp (Ctenopharyngodon idella) on lakes in the Pacific Northwest. Technical Report. Washington Cooperative Fishery Research Unit. pp 105-178. Pauley, G. B., G. L. Thomas, S. L. Thiesfeld, and S. A. Bonar. 1987. Devils Lake restoration project - grass carp introduction and monitoring. Technical Report No. 6. Washington Cooperative Fishery Research Unit. 9 pp. Pauley, G. B., G. L. Thomas, S. L. Thiesfeld, and S. A. Bonar. 1987. Devils Lake restoration project - grass carp introduction and monitoring. Technical Report No. 5. Washington Cooperative Fishery Research Unit. 6 pp. Pauley, G. B., G. L. Thomas, S. L. Thiesfeld, and S. A. Bonar. 1986. Devils Lake restoration project - grass carp introduction and monitoring. Technical Report No. 3. Washington Cooperative Fishery Research Unit. 5 pp. Pauley, G. B., G. L. Thomas, S. L. Thiesfeld, S. A. Bonar, and K. L. Bowers. 1986. Devils Lake restoration project - grass carp introduction and monitoring. Technical Report No. 2. Washington Cooperative Fishery Research Unit. 19 pp. Pauley, G. B., G. L. Thomas, S. L. Thiesfeld, S. A. Bonar, and K. L. Bowers. 1986. Devils Lake restoration project - grass carp introduction and monitoring. Technical Report No. 1. Washington Cooperative Fishery Research Unit. 17 pp. Pauley, G. B., G. L. Thomas, S. A. Bonar, K. L. Bowers, J. D. Frodge, and A. Unthank. 1985. Use of triploid grass carp (Ctenopharyngodon idella) as a biological control of aquatic macrophytes in Washington State. Technical Report. Washington Cooperative Fishery Research Unit. 248 pp.